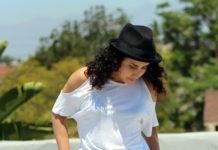 Hello, my name is Jennifer and I’m a new addition to the lovely review team of Denimology. I’m a fashion addict from Florida, that’s ob-sessed with anything vintage. You can check out my personal blog, where I feature all my great vintage finds! I was beyond stoked when Andy from Denimology invited me to be a part of the review team. For one, jeans are my vice; my collection has grown quite large over the years (I don’t think I’m alone when I say it’s impossible to have too many pairs of jeans). 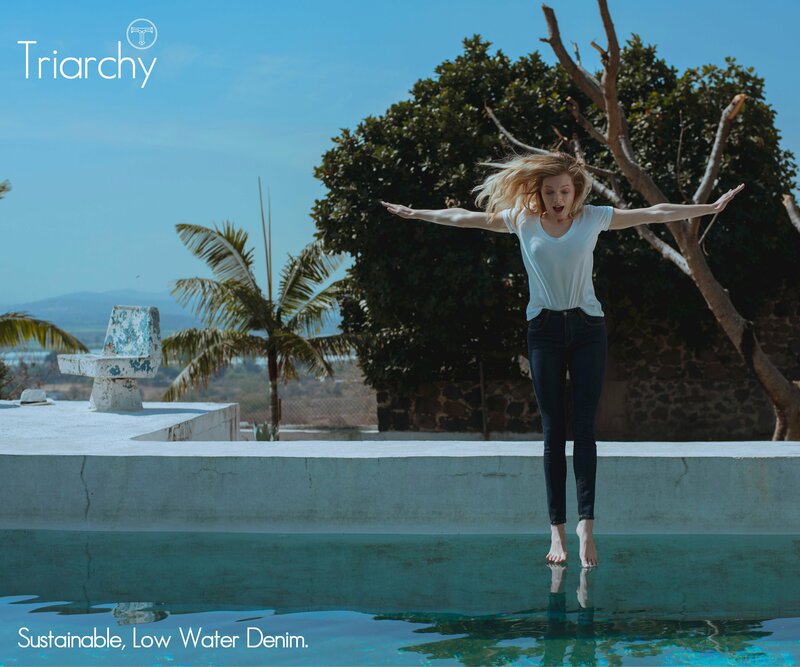 Secondly, to have the opportunity to review the latest jeans that have hit the market, not only helps me on my quest to keep my jean collection ever growing, but also will help all of you on your hunt for the perfect pair of jeans. For my first review, I am introducing the 7 For All Mankind Bell Bottom jean in “Clean Vintage California”. These jeans are mid-rise which fit slim through the hips and thighs and flare out to a large bell bottom right below the knee. My face lit up when I saw these babies sitting in the box that had come in the mail. 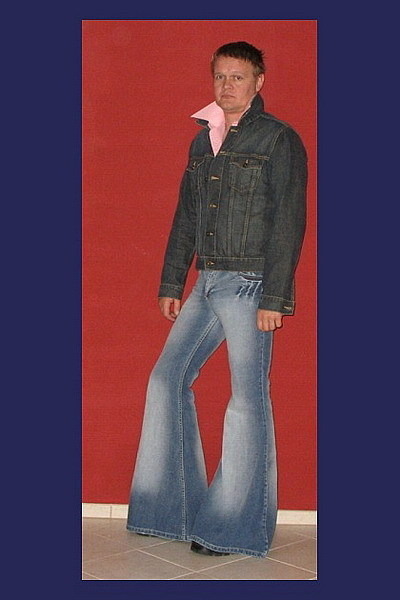 I’m a loyal 7 For All Mankind fan, and I’m a fanatic for any bell bottom or extreme flare jean. Maybe it’s my obsession with 70’s chic fashion, or perhaps Rachel Zoe brought on my obsession – – the girl can seriously rock a pair of bell bottoms! The wash of these jeans goes hand & hand with its title, “vintage.” It’s a classic bell bottom with the same vintage feel (the denim is nice & soft) – as if these jeans came straight from the 70’s! The clean back pockets are a PLUS! 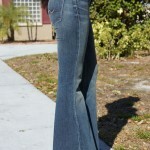 No girl wants a bell bottom jean that has busy pockets. The jean is dramatic enough. Excessive stitching or studs need not apply. One downside from this jean is the whiskering in the front. I would prefer the jean without it, mainly because I feel it takes away from the clean look of the jean. I also feel whiskering draws attention to the hip area, which can be a big issue for girls that want to draw attention away from their hips. I definitely would recommend these jeans if you’re a shorter girl that wants a jean that will lengthen your legs -or- if you’re a naturally tall girl (like myself) that wants a jean you won’t have to hem. This jean is made for heels or wedges, versus a ballet flat or sandal. Overall, I give these jeans two thumbs up. The look and feel of these jeans is the epitome of vintage 70’s chic! Although these jeans have a higher price tag, you cannot deny the quality you get when you purchase a pair of 7 For All Mankind jeans. They will definitely last. If you’re a girl thinking about taking the bell bottom plunge, or if you’re already a fan of the style, then these jeans are for you! 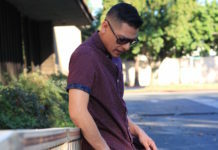 Dress them up or down- -they’ll be an attention getter either way! 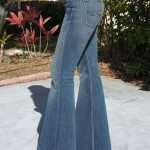 The 7 For All Mankind Bell Bottom jeans in Clean Vintage California are available from Singer22.com for $245. My word… Could your derriere be any more perfect? I think not. You look beautiful in these jeans. 7FAM’s Bell Bottoms stretch a little over time so I would just wait a bit. You look beautiful in these jeans. 7FAM's Bell Bottoms stretch a little over time so I would just wait a bit. wow beautiful … I love these pants over everything … and as a man, I wear it no matter what others think, as flared trousers are for men too. I’m looking at these jeans but wondering about sizes? I’ve never had there jeans I’m a 34 hips and 25 waist, so I don’t know if I should get 24 or 25? lots of the time things are too big for me. I’m 5ft3 but live in platforms, they look great, any advice anyone? I'm looking at these jeans but wondering about sizes? I've never had there jeans I'm a 34 hips and 25 waist, so I don't know if I should get 24 or 25? lots of the time things are too big for me. I'm 5ft3 but live in platforms, they look great, any advice anyone? Check out Company 81 Fall 2012 line, new products will be in stores the end of July.